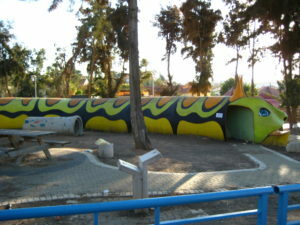 With over 200 rockets fired from Gaza at the town near the Gaza border (Sderot) in the past two weeks and thousands over the past couple years the Jews living there are traumatized. What is even worse is the children have and are suffering from daily terror and the stress has taken it toll on them. When the sirens go off they only have from 5 to 10 seconds to run to a bomb shelter or find a safe place before the rockets hit and that is 24/7 day and night. Many of these rockets have exploded in play grounds and school yards. The Israeli Iron Dome anti-rocket defense has intercepted most of the rockets but many have gotten through and hitting homes and public places, yet the UN says nothing about the war crime of targeting civilians. They are placed all around the town and if they can’t make it to one of them within 10 seconds they just lay down near a structure. 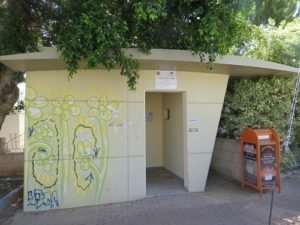 Many Israelis who have the ability to help these kids try to bring them out of the town away from Sderot and give them a chance to relax and settle down inside. Joel brought it to my attention that we could give them a day on a boat. Joel came up with a great idea and he wants to take one of the boats and offer the kids an hour or two sailing along the Israel coast near Herzilya, to give them some treats and a experience that will take their minds off the bombs for a day. He drove to Sderot last night and talked with one of his IDF buddies who lives there and they are making arrangements to get some of the kids to the boat and Joel and his buddy will take them out a few at a time. The kids in Israel like everywhere are the most valuable asset we have and I am proud of Joel for wanting to do this, his life hasn’t been easy either and when he is not called in to the IDF special forces he will be free to bless these kinds who need a blessing really bad. 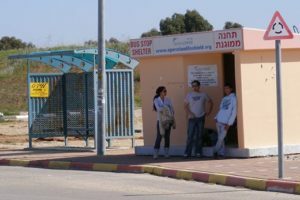 The added expense to the ministry will not be much as the wind is free, the greatest cost will be getting them from Sderot to Herzilya and back and feeding them. All this is in the planning stages and I am asking you to pray for these kids many of them have Post Traumatic Stress Disorder to get some peace and relaxation. We are well aware that they need much more attention and care than we are able to give, but we can work together to do what we can. Pray for the peace of Jerusalem for Joel and all the IDF soldiers. Pray for this ministry and your part in it.